We all have a vision of how certain spaces in our new house will be some day. Even if you are not planning to move into a new home, this image could be a compelling reason to renovate the space. 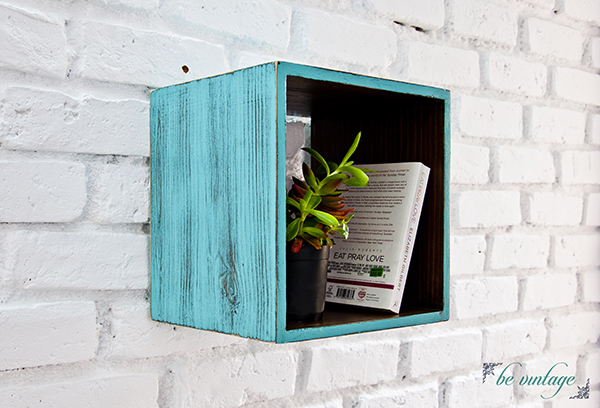 It could be as simple as pink cushions against a white sofa, or a easy chair in the balcony to read, or a quiet space in the house to practice the guitar without anyone nagging to run errands, or making space in the balcony for plants. You carry a certain image in your mind, make a mental note, or bookmark the image to shape your space like that when the time comes. The time has come for us. I had a dream, too, for the kitchen. 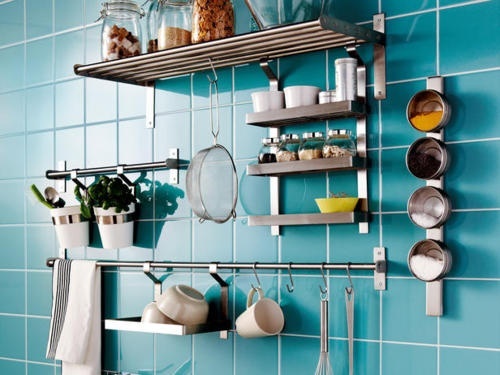 I’ve fancied blue wall tiles very much like the ones in the pictures below, with a large window and sink beneath it. But, now there’s a small roadblock;I can’t seem to find tiles such as these anywhere in India. The brands I’ve checked are Bell, Somany, a few from Nitco and the collection at Celestile. Though Celestile had something close to what I was looking for, it was a highlighter tile and not in the dimension that I wanted (300 mm * 450 mm) aside from the fact they are really expensive. The good thing was it had a self brick pattern which means it covers a huge area avoiding the grout lines like in the pictures above. Tifny aqua from Somany came close, but again it is plain that may look too drab. To my surprise, there are very few blue tiles in the market, and a majority of the collection is disappointing in shades of white/beige. Most of them lacked the wow factor; none so engaging to make you stop in your tracks. I need your help: have you come across wall tiles like these, and if so please mention the brand. I would be very grateful. 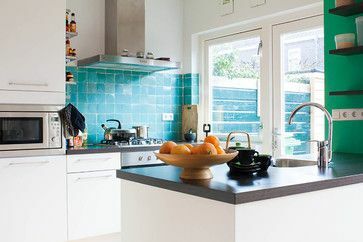 It must be a very creative thought to use aqua color tiles in the kitchen. I have seen aqua tiles used in bathrooms but this one is a classic. The photos you posted have glass tiles used in them. They bring a wow factor to the kitchens. These days you can find glass tiles in shops which imports tiles. I hear there are a few Indian brands too n this niche segment. You should try RAK ceramics or Kajaria tiles. Kajaria is more expensive but good selection. RAK is excellent. You should try Sai Gallerium or Stone Arts. Sai galerium in indiranagar has but way too expensive. Thanks, Reena.I did visit them, but did not find exactly the ones I wanted.